Batman V Superman: Dawn of Justice is shaping up to be one of the most exciting film releases of 2016 and three sets based on the movie have been released. The smallest of these is 76044 Clash of the Heroes which contains two minifigures, the eponymous heroes Batman and Superman, alongside a tiny model of a Gotham rooftop. It is not at all unusual to see two of the most important characters from any given comic book movie appear in the smallest set of a wave, but rarely do the minifigures look as impressive as these. 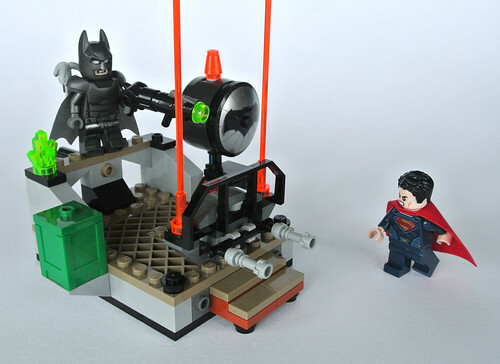 Both are exclusive to this set, although only due to the absence of dual-moulded legs in Superman's case, while Batman wears his armoured suit which appeared in the very first teaser.